Now in our second century of operations, The Kroot Corporation continues to honor our commitment to environmental protection. 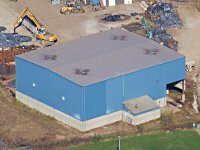 Our facility strives to not only comply with federal and state environmental requirements, but to exceed them. We are an environmentally safe facility with an ongoing program to meet or exceed all federal guidelines. 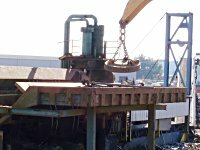 Our main concern is the responsible handling of all types of scrap. In 1997, a 12,000 square foot building was constructed to house all turnings and other oily materials. The building is constructed to allow us to separate and collect oily fluids from scrap materials. We ensure that the collected fluids are disposed of in accordance with state and federal regulations. This system greatly reduces the potential for environmental impacts from our operations. Throughout the past decade we have continued to make investments in projects that protect the environment, including the installation of storm water management systems. Our underground storm water tank systems allow for the collection of trash and debris, the settlement of dirt and solids, and the separation of any oils, fuels, or greases before storm water is discharged. Our storm water management systems are inspected routinely and clean-outs are performed frequently. The Kroot Corporation strives to maintain a clean and safe facility. Non-ferrous materials are predominantly stored inside buildings. 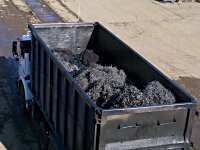 All materials that are processed outdoors and materials in the Ferrous Yard are sorted and stored on concrete pads and/or in concrete lined bins. This allows for easier cleaning of storage areas and prevents materials from impacting the soil. The Kroot Corporation's environmental staff and upper management conduct frequent and routine inspections of the entire property and all operations. All environmental inspections, monitoring, and reporting are conducted in compliance with the facility's environmental permits and written programs. 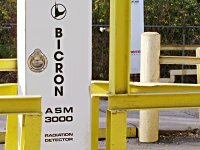 We have been using Bicron detectors at our scales to eliminate any trace of radioactive material on our property for the past 15 years. 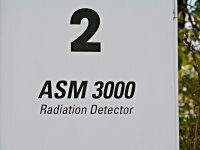 All materials must pass through these detectors when entering or leaving the facility. 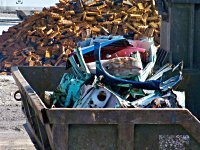 We work with our industrial clients to ensure clean and safe pick-up areas where scrap materials are collected. 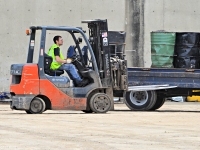 We also work with client facilities to ensure the best set-up is established for the collection, storage, and transport of materials in our hoppers, tubs, bins, and roll-off containers. 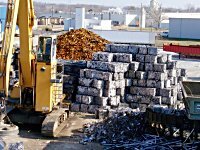 We want to be certain that metals are transported to our facility in a safe and compliant manner. 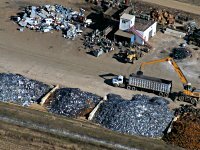 Scrap metals are a renewable resource that demands conscientious and safe handling, storage, processing, and shipment. We provide our retail customers with clear guidance on materials that can and cannot be accepted at the Kroot facility. We are vigilant in our inspections of loads at the entrance scales and at off-loading locations to ensure that items with the potential for environmental impacts or items that represent a safety concern are not accepted at the site.